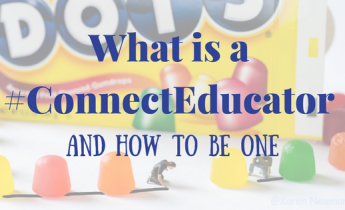 Home › Blog Topics › Advocacy/Leadership › What Is a #ConnectedEducator? How often in your career have you heard someone say, “you really need to be a connected educator” or “you should get connected with…”? I find myself telling friends and colleagues this quite often. 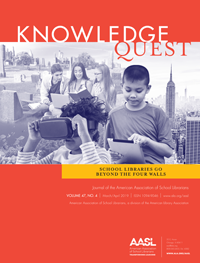 Many of us in the school library or technology field are #ConnectedEducators and are very active in our online communities. However, many educators still haven’t taken the plunge into connectedness with their teacher tribe online. Maybe they’re afraid of the digital world. Maybe they need instruction and guidance to the best social media sites for teachers. Maybe they only post their food to Instagram. As technology leaders, we are able to help colleagues, administrators, and even parents become #ConnectedEducators. A quick Google search of the hashtag #ConnectedEducator returned nearly 2,000 sites, photographs, Twitter Chats, Instagram posts, educator profiles, and blogs. How can you not want to be part of that amazing international community of educators? And how can we encourage and model being a connected educator for others? #Connected Educators are active online. The first, and most important, key to becoming a connected educator is to be active online. Being an active and connected educator means your network goes beyond your district and state. 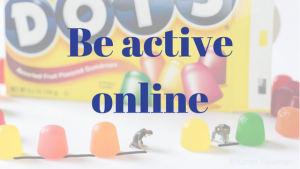 I have attended several conferences that have touted keynote or feature speakers, and I think “who is that person.” Being active online is absolutely key to becoming a connected educator. The online dictionary defines active as “doing things for an organization, cause, or campaign, rather than simply giving it one’s support.” It lists synonyms that include diligent, contributing, effective, enterprising, involved, and committed. Being a connected educator isn’t a stagnant profile on Twitter and LinkedIn. A connected educator is someone who posts unique thoughts often; is someone who shares and retweets blogs, pictures, and links often; is someone who communicates often. You cannot be active sitting on the sidelines watching the game. 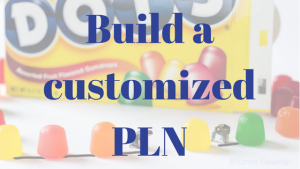 #ConnectedEducators build a customized PLN. The greatest aspect of being a connected educator in this globally digital culture is that we can build our own PLN. We can reach out to others in our same field of work. 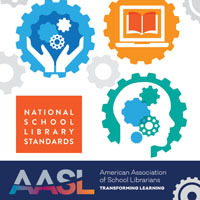 Connect with other school, academic, or public librarians via social media, Google Hangouts, and so many other digital tools. Students (and teachers) love Mystery Google Hangouts! 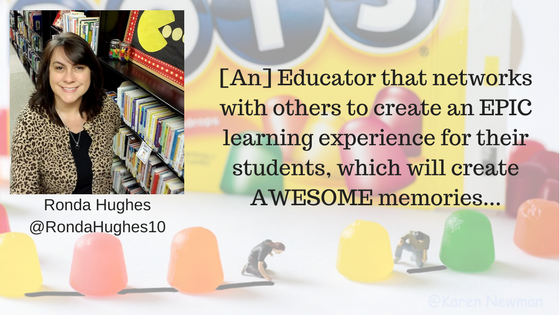 It’s a great way to connect students and build their personal learning network. Not only can we connect and learn from professionals in our field, but we can connect with professionals in a similar field, such as technology, computer science, or programming. Authors, illustrators, and publishers are abundant in my PLN. Connected educators share students’ learning with their communities and connect their students to professionals. Each week numerous Twitter chats take place. 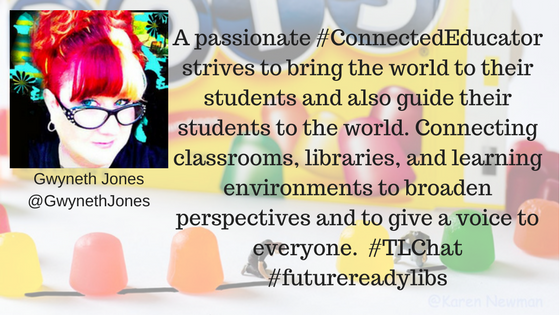 One of the first activities in which I participated after creating a Twitter profile (after following every author, illustrator, and librarian I knew) was to participate in a Twitter chat. I can’t even tell you which one it was, but I was in love. Connected educators see opportunities to learn from each other. Whether that be a Twitter chat or a webinar, connected educators are always learning. They utilize their PLN to help students learn, too. 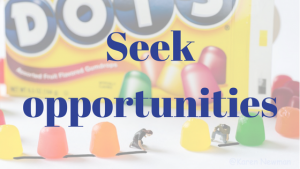 Connected educators seek opportunities to share all the time! They look for opportunities to share experiences. 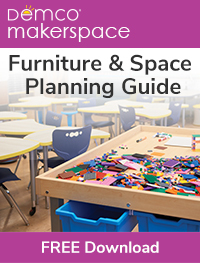 They look for ways to share student work and connect students to others. Connected educators follow hashtags and digital conversations. They collaborate and communicate globally. What other tips do you have for those on the path to become a #ConnectedEducator? Leave a comment with your tips, suggestions, and hacks or post them on Twitter with the hashtags #ConnectedEducator and #ConnectedEducatorTips. ‹ Are Middle School Book Fairs Worth It?